The country’s cuisine features dishes using beans, olive oil, yogurt, and garlic. 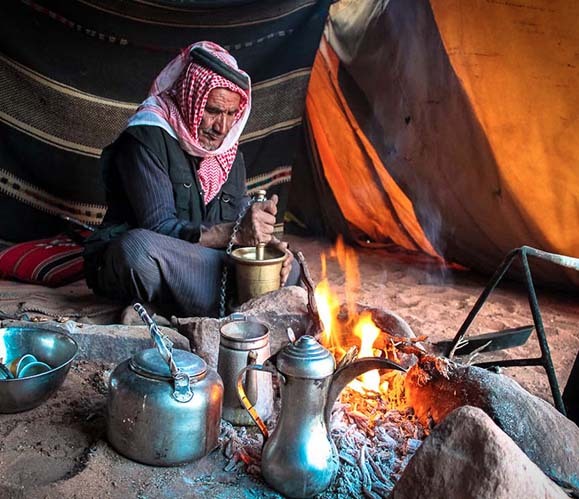 Jordan’s two most popular dishes are msakhan, lamb or mutton and rice with a yogurt sauce, and mansaf, chicken cooked with onions, which are both served on holidays and on special family occasions. Daily fare includes khubz (flatbread) with vegetable dips, grilled meats, and stews, served with sweet tea or coffee flavoured with cardamom. Holidays that are celebrated in the kingdom include the Prophet Muhammad’s birthday, the two ‘ids (festivals; ‘Id al-Fitr and ‘Id al-Adha), and other major Islamic festivals, along with secular events such as Independence Day and the birthday of the late King Hussein. 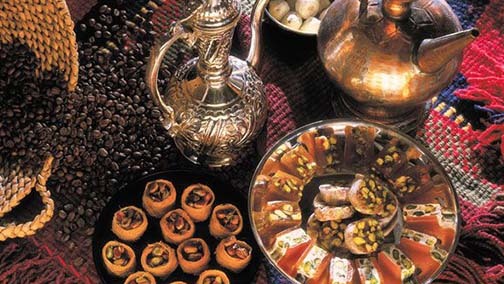 Id al-Fitr (Arabic Festival of Breaking Fast) , also called al-‘Id al-Saghir , first of two canonical festivals of Islam. ‘Id al-Fitr marks the end of Ramadan, the Muslim holy month of fasting, and is celebrated during the first three days of Shawwal, the 10th month of the Islamic calendar (though the Muslim use of a lunar calendar means that it may fall in any season of the year). Eid al-Adha (Arabic Festival of Sacrifice) , also called ‘Id al-Qurban or al-‘Id al-Kabir (Major Festival) , the second of two great Muslim festivals, the other being ‘Id al-Fitr. ‘Id al-Adha marks the culmination of the hajj (pilgrimage) rites at Mina, Saudi Arabia, near Mecca, but is celebrated by Muslims throughout the world. As with ‘Id al-Fitr, it is distinguished by the performance of communal prayer (salat) at daybreak on its first day. It begins on the 10th of Dhu’l-Hijja. Food & Drink: The cuisine varies, although most restaurants have a mixed menu which includes both Arabic and European dishes. 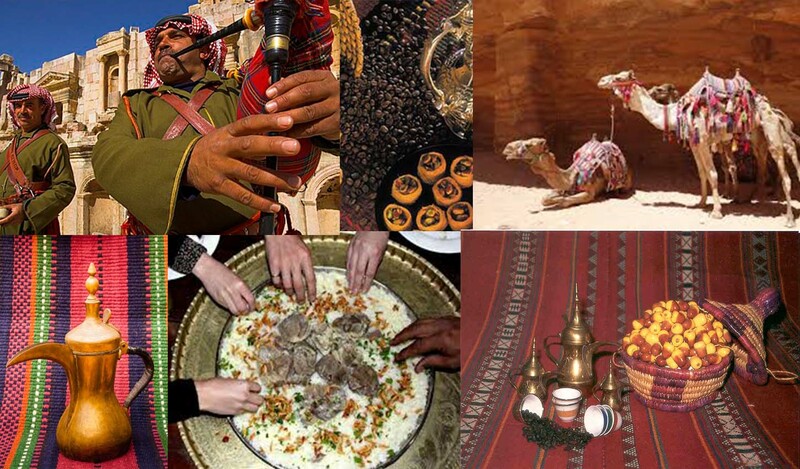 Dishes include meze (small starters such as fool, humus, kube and tabouleh); a variety of kebabs; Mahshi Waraq ’inab (vine leaves stuffed with rice, minced meat and spices); musakhan (chicken in olive oil and onion sauce roasted on Arab bread); and the Jordanian speciality mensaf (stewed lamb in a yogurt sauce served on a bed of rice), a dish which is normally eaten with the hand. Sweets are very popular and include: baklawa (pastry filled with nuts or honey); knafa (pastry filled with nuts or goats cheese); ataif (small fried pancakes filled with nuts or cheese and traditionally eaten during Ramadan); and mohallabiya (milk-based pudding perfumed with rose water or orange). Drinking Arabic coffee is a ritual. Coffee tends to be very strong and is served in small cups (with plenty of coffee grounds at the bottom). Local beer, wine and other types of alcohol are served in most restaurants and bars, except during the fasting month of Ramadan (non-Arabic nationals can drink alcohol only in hotels during Ramadan).